CURRENTLY ranked 36th by the International Monetary Fund (IMF), a critical appraisal of the Nigerian economy suggests a state of contradictions. Growth was recently accounted at seven per cent in the first half of the year, hugely driven by the agricultural sector. However, this is not reflected in the living standards of the vast majority of Nigerians. Given this country’s vast reserves of mineral and natural resources, a large proportion of the population is stuck in a poverty trap. “Poverty trap is a self-perpetuating condition where a country caught up in a vicious cycle suffers from continuous underdevelopment”. Power (electricity) is a major driver of industrial growth and development in virtually all sectors of the economy. The parlous state of the power sector is a far cry from what is experienced outside our shores. It’s no news that Nigeria still suffers from power instability even when we have the capacity to generate electricity. The question then is: “Of what effect is this to the economy?” The current power situation is becoming increasingly worrisome for small scale businesses and households. Yes, solar energy and other forms of energy are alternative sources but how many Nigerians can afford these options. Nigerians, who have a deserved reputation for being industrious and enduring, have been dragged into this vicious cycle by the nature of governance. Take the case of an average cold room operator who requires constant electricity to ice her commodities. Depending on authorised power regulators would threaten the existence of the business and most likely threaten her source of livelihood. To sustain her business, she has to purchase an electricity generating set. These generators do not only increase liability, they are a source of environmental pollution. Fuel is needed to power these generators and thus narrows even more, her profit margin. For instance, an average of N1940 is spent on a daily basis on fuel alone for a gross sale of N6000. The excess is shared around other operating costs and family expenses. Little or nothing is left for saving or luxury. Exclusive of fuel costs, the cold room operator has a slim profit margin. Only last week, I had a discussion with a local barbershop in Ikoyi, an affluent neighbourhood in Lagos. This fellow, a father of four, complained bitterly about the economy. According to him, he had only eaten breakfast and could barely afford a decent dinner. From our conversation I gathered that, at black market rate, he spends a minimum of N900 on a daily basis to fuel his generator. According to him, there has been no sign of electricity from power providers in the past four days. So in order to stay in business, he has to rely on a generator, which not only encroaches on his profit but causes sound and air pollution. Take the case of this small businessman who works nine to 10 hours every day but can barely afford a decent dinner and still has a family to cater for. About 80 per cent of his profit is spent on fueling his generator and he is stuck in a perpetual cycle of poverty. This happens to be the case with many Nigerians who are caught in a similar cycle. This trap has no respect for tribe, religion, location, academic qualification, businesses and individuals. Imagine how much less we would have to pay for goods and services if we had constant power supply. It is only when you calculate how much you spend daily, weekly and yearly on fueling your generator that you appreciate there is a trap. A large majority of Nigerians work so hard but have little or nothing to show for it. Nigeria’s deteriorating power condition has perpetuated a poverty trap and will nullify all efforts to achieve President Goodluck Jonathan’s transformation of the economy through job creation and inclusive growth. Inadequate power supply cripples the ability of many to create jobs and thus makes inclusive growth more difficult. The case of our nation is one where the spirit and body are both willing but infrastructure is weak. With little or no improvement in the power situation, 10 per cent was allocated to the same sector in the public budget for 2013. 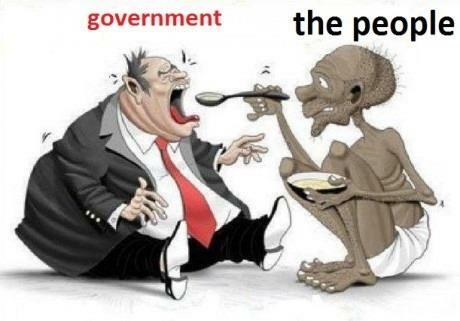 Nigerians are tired of this cycle and demand an urgent change. Interestingly, you really don’t have to be an economist to identify challenges trailing the country and most likely proffer solutions to them. One begins to wonder why the delay when solutions seemingly appear easy. From my appraisal, some of the major setbacks that have encroached on our ability to progress include delayed implementation and misguided priorities. Good policies are made, committees are set up, and experts are consulted but implementation is either delayed or never carried out. Like any other trap, we can be delivered from this trap. However, it requires a conscious effort by leaders to consolidate on national interest rather than individualism and tribalism that has engineered this trap. • Ebbi is an economist and business strategist.